LIMESTONE GUMPTION crosses the boundaries of its cozy mystery genre to reach underlying human, social, and environmental issues while offering a model of conservation for niche cultures of the American South. 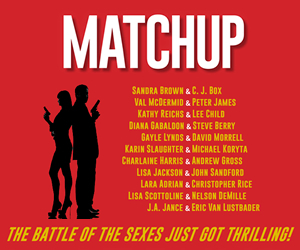 A debut novel written with a veteran pen, it is the first of a series of Brad Pope and Sisterfriends mysteries that promise to enthrall a loyal following. LIMESTONE GUMPTION is expertly crafted with controlled plot twists and quirky, memorable characters whose development grips the reader as much as the mystery itself. With light-hearted deftness, it also provokes much thought on wider issues. While coping with the exigent requirements of academic life, Bryan E. Robinson always dreamed of writing a novel. The waiting period has only served to hone his pen on a shelf-full of acclaimed scholarly works. 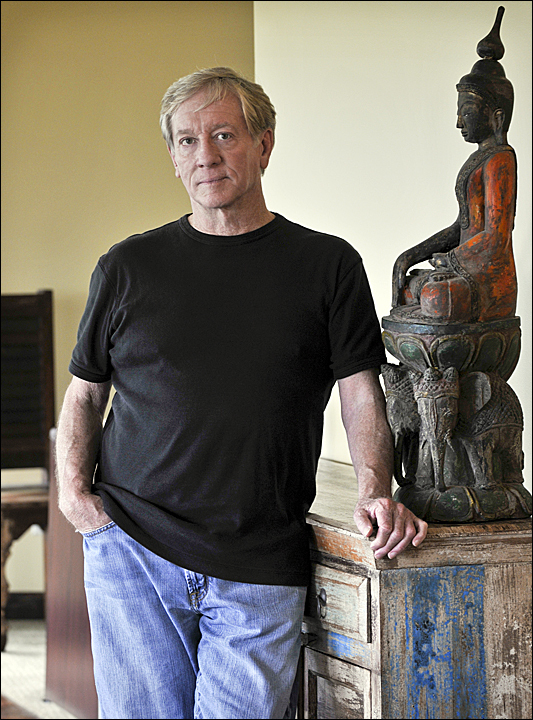 And growing up in a small southern town, he is hardly a stranger to the milieu of his fiction. In LIMESTONE GUMPTION, when psychologist Brad Pope returns to his hometown to settle a debt with his estranged father and re-establish a bond with his cantankerous grandmother, he is accused of murdering town hero and cave diver, Big Jake Nunn. Brad quickly realizes that not all the demons from his dysfunctional family history are safely buried in the past. The novel’s outspoken peer reception is impressive. 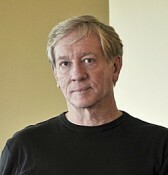 Bryan E. Robinson carries a notable track record of thirty-five nonfiction works translated into thirteen languages. He has been honored by the First Citizens Bank Scholars Medal from the University of North Carolina at Charlotte for excellence in scholarship, creativity, and/or research, and the Extended Research Award from the American Counseling Association for his outstanding body of pioneer research on workaholism and the family. He has appeared on 20/20, Good Morning America, World News Tonight, The Early Show, and NBC Nightly News. He is Professor Emeritus at UNC-Charlotte and a psychotherapist in Asheville, North Carolina. He resides in the Blue Ridge Mountains with his partner, four dogs, and occasional bears at night. 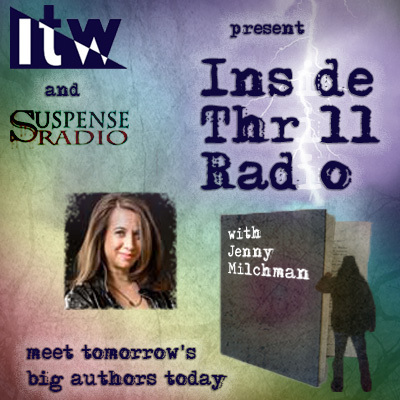 In the following interview Bryan E. Robinson shares with ITW readers different aspects of his personal and creative life. What led you, a Professor Emeritus with an illustrious academic and scholarly career, to branch off into fiction? I have ink in my blood. I have wanted to write a novel since I was seven or eight years of age. In fact, like most kids growing up in a troubled home, I instinctively found a comforting escape from the chaos of growing up in an alcoholic home: writing. I holed up in my room and made up these mysteries of two boys getting into trouble and then I’d get them out of trouble. It gave me the illusion that I was in control of something that I could never control. As an adult, real life took me in a direction where I could publish or perish and that would pay the bills: academia, though the dream never died. So this novel is a life’s dream come true for me. How easy or difficult was it? It wasn’t all that difficult because even in my numerous nonfiction books, I had honed the skill of writing, the challenge of writer’s block, and developing creative ways of getting material across. However, the biggest challenge in writing the novel was showing, not telling. The academic and self-help books that I had written were didactic and direct, whereas the novel was showing and trusting that the reader would “get it.” Another difficulty was believing that I could actually pull it off—believing in my ability. Because I had the day job of my clinical private practice and teaching and conducting research at the University of North Carolina at Charlotte, it took me twelve years to pen LIMESTONE GUMPTION. Is LIMESTONE GUMPTION a one-off, self-indulgent, creative burst or just the first shot across the bow? It is the first shot across the bow. I have fallen in love with my characters and the process of writing fiction. I am planning a sequel to LIMESTONE GUMPTION that will be set in the Western North Carolina Mountains of Asheville. I have also started a memoir, the working title of which is called CRAZY PAPERS—about my mother’s mental illness and my father’s alcoholism and what led her to carry proof around with her that she wasn’t crazy. So you can expect a lot more fiction from me in the future. If LIMESTONE GUMPTION is a creative spearhead, how will it affect your academic and scholarly work? My academic and scholarly work informs my fiction. The protagonist in my novel is a psychologist with the ability to see beneath the obvious. Plus, the whole idea of LIMESTONE GUMPTION comes from solid theory and research—that yielding to the forces we cannot control empowers us, that grass grows through concrete. In the novel, many of the characters must call on their LIMESTONE GUMPTION to get through troubling times. In the area where the novel is set (North Central Florida), people come from all over the world to dive these beautiful underwater caves, carved for thousands of years by the limestone yielding to the force of the Suwannee River (think martial arts). The limestone yields as the Suwannee encompasses it and becomes one with the rushing water, allowing the Suwannee to carve limestone into beautiful shapes and images as it becomes a feature of the river. In time, the limestone becomes a smooth, well-polished cavern, and the strength of its true character is revealed. That’s LIMESTONE GUMPTION. In psychotherapy we call that finding your resilient zone—that place where you feel confident, calm, clear, and courageous. Did you outline the novel or did the story and characters tell you what to write? I don’t use an outline; it’s too linear for me. I just start writing so that I can call upon my non-cognitive processes the core of where the story comes from. Not just from my brain, but from my heart. There is a murder at the beginning of the novel and I thought I knew who the murderer was. But as I continued to write and as the characters began to form, they decided it had to be someone else. I was a bit flabbergasted at first but the story unfolded exactly as it needed to. So yes, the characters did step in and show me what to write. For me, an outline ties me down and limits the possibilities of what can happen and too much thinking can actually shut down the creative process. What made you decide to deal with the beauty and brutality of a small southern town? I adore Southern fiction and the beauty and paradox of Southern nature and small town life. I once had a second home on the Suwannee River outside of Gainsville, Florida and the culture fascinated me. The area I write about is primeval and prehistoric in nature: manatee, alligators, wild boar but at the same time this beauty has a brutal side of survival. In fact, a Mastadon molar was found beneath the Suwannee River and many cave divers have gotten lost and drowned in the caves underneath the Suwannee. 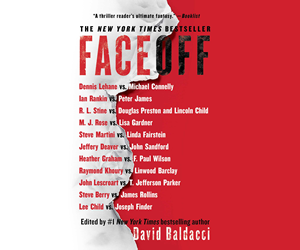 So I am fascinated with the Tao (opposites) of the beauty and the brutal and the paradoxes that I show in the novel: locals throw their hands up in a friendly wave even if they don’t know you, their shotguns perched firmly behind their heads in their pickups, just in case you’re an outsider that they might have to deal with. How close are the unusual characters to your own experience? I have come to understand that writing fiction is a combination of three components: personal experience, observation, and imagination. As such, my quirky characters have qualities that are composites of people I’ve known, heard about, or made up. But all of them are a mixture of these three components and none have all the qualities of any one person that I’ve ever known. What sort of surroundings feed your creativity? The beauty of the natural environment—trees, water, mountains, grass, soil, the breeze, sounds of wind chimes—and any experience that activates the five senses. I also love the paradoxes of life, those experiences of thinking things are one way when, in fact, they are completely different and you have to go back and re-think what just happened or re-read certain passages in a story and flip around your thinking to understand what really happened. It freaks you out and the cognitive dissonance keeps you hooked. 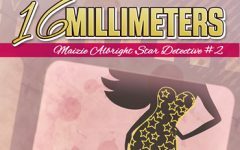 I use this technique in my murder mystery, as many authors do. I LOVE all sorts of music, especially old blues from the 20s and 30s, rock, and country music. You’ll notice in my novel, I refer to mostly country performers and their songs, including Reba McEntire, Blake Sheldon, Tim McGraw, and Patsy Cline. I mention the names of specific songs in many scenes to accentuate the mood of the scene. I think it’s a great technique to create ambiance. In what way does music influence your writing ability? As I said in the previous answer, songs that reflect the tension or mood of a scene pop into my head as I’m writing as when the protagonist and his cantankerous grandmother are on a manatee safari and she’s stomping toward the Suwannee singing, “Wide Open Spaces” by the Dixie Chicks. Your sense of humor and light hearted way of dealing with the serious has inspired much critical appreciation. Where does it come from and how did it enter your writing? This is a great question and one I continue to ponder. I grew up in a very serious, problematic home and much of my life was serious, thinking of life as a problem to solve, struggling to get through it. Over the years, I realized that that was only a perspective (not a truth) and that I had amputated fifty percent of my life: laughter, fun, joy, lightness. All of life is not heavy, drudgery, intensity. So I often remind myself that I have a choice: I can look at a challenging situation as a problem to fix or an adventure to experience. This is a powerful realization. Looking at life as an adventure fuels my creativity, opens me to more possibilities, and brings a more honest balance to what life can really be for all of us. I find too many writers today are too intense, writing about the stark realities we live everyday. We live in a time that is intense and worrisome enough. Who wants to sit down and read about more problems? Of course, mysteries must have tension, challenges, problems. But I like to modulate the heaviness of tension with lightness and I think all in all, it makes for a great balance to a novel. Novelists are my rock stars. John Hart is my Adam Levine. I love the way he webs mystery with family relationships. Fannie Flagg is my Lady GaGa, and she can weave humor into a serious plot like nobody’s business. Zora Neal Hurston, my Josephine Baker, wrote a wonderful novel in 1948 called, Seraph on the Suwannee. When I read it, I realized life on the Suwannee is not all that different in 2014. Pat Conroy is my Bruce Springsteen, my all-time hero. I love the way he crafts his descriptions of the South, the Southern characters he creates, especially the shadowy background mysterious figures. Flannery O’Conner is my Janice Joplin, a legend whose writings have so inspired my own. You will see a convergence of all these literary influences in LIMESTONE GUMPTION. Which are your favorite movies and/or TV shows? The Voice, American Idol, So You Think You Can Dance, are my favorite TV shows. I love music, first of all. Plus, I love a good Cinderella story where an unknown talent is catapulted into success. As for movies, Fried Green Tomatoes, The Help, August: Osage County and Sordid Lives—movies that have rich, interesting characters and that have the action between and among everyday people relating to one another, not war stories or action figures. I love the outdoors, kayaking, hiking, and hanging out with friends. I also enjoy good movies, writing obviously and traveling to new lands and learning about other cultures. I’m an anthropologist at heart and that’s why I was so taken with life on the Suwanee River—a life that is dwindling today and may be on the verge of extinction. What’s the best way to tackle this undesirable change? Through exactly what happens in the novel—preservation efforts, education and raising awareness—funding for preservation and awards for people who champion these efforts. 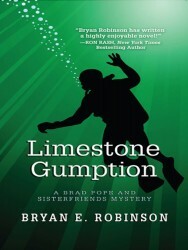 LIMESTONE GUMPTION is Bryan Robinson’s debut novel. He is author of 35 nonfiction books, including The Smart Guide to Managing Stress and Chained to the Desk. His books have been translated into thirteen languages, and he has appeared on 20/20, Good Morning America, World News Tonight, The Early Show, and NBC Nightly News. He is Professor Emeritus at UNC-Charlotte and a psychotherapist in Asheville, North Carolina. To learn more about bryan, please visit his website.